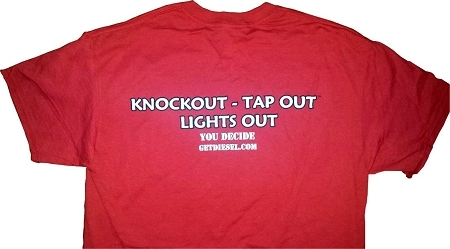 High quality 50/50 Dry Blend (cotton/polyester) that GET DIESEL has been known to print it's colored shirts on for years. Nice fit, last years. 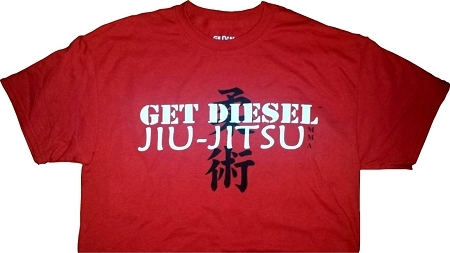 People are still wearing red GET DIESEL shirts from 10 years ago.This GET DIESEL Jiu-Jitsu (MMA) shirt has our Team GET DIESEL TM slogan on the back: "Knock Out - Tap Out - Lights Out."